Move in ready New construction in Beach Park. 4 bedrooms (guest suite on main floor), 4 bathrooms, 1 half bath. 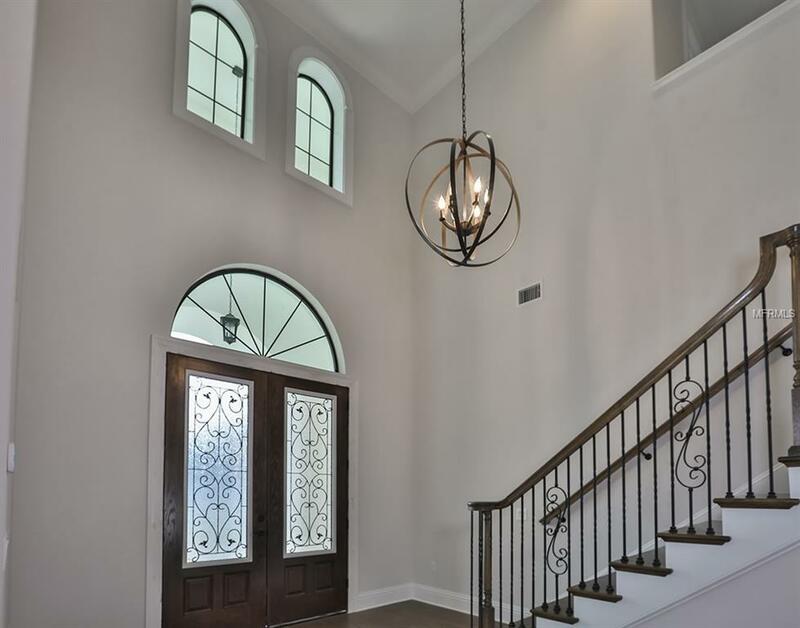 This Mediterranean home impresses you from the moment you step into the grand entry w/ soaring 20 foot ceilings & a grand staircase open to the second floor. Open concept throughout, the home flows from formal living & dining space into the kitchen & great room featuring a gas fireplace & sliding glass doors that open to the lanai & outdoor space. 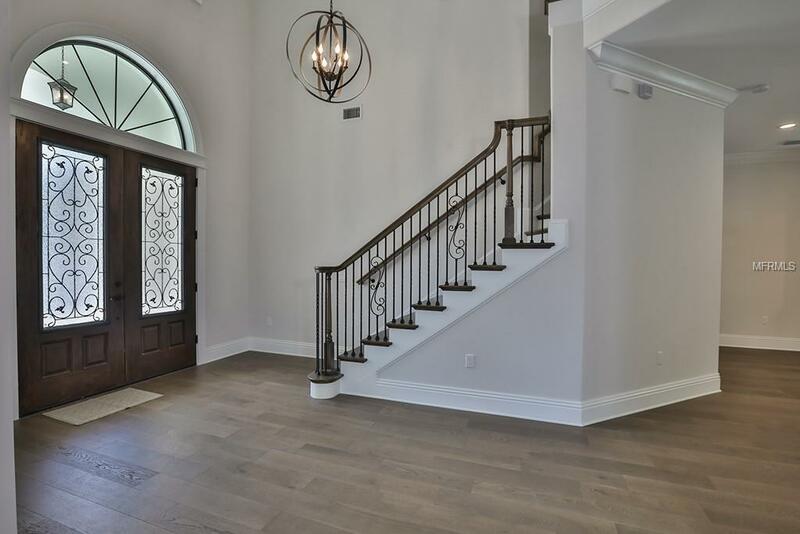 This home spares no expense w/ its finishes - hardwood throughout, NO CARPET, 7 baseboards, smooth finish drywall, 7 crown molding in every room, custom shelving in all closets, 8 solid core doors, hurricane impact windows, wiring for surround sound. An exquisitely designed kitchen features custom maple cabinetry, quartzite counter tops that emulate marble, large pantry, Jenn Aire appliance package including 36 gas range, pot filler, wine fridge & marble feature on the backsplash. Large master wing on the second floor features a tray ceiling, a private walkout to the 2nd floor balcony, marble tiling throughout the bathroom w/ double sinks, soaking tub & oversized shower. To finish off the elegance of the master there is a 200 SQUARE FOOT WALK-IN CLOSET w/ custom shelving & marble flooring. Backyard boasts an outdoor kitchen w/ gas grill, travertine covered lanai, cedar plank ceiling & saltwater pool w/ deck jets that create a calming & tranquil environment. Home comes w/ a 10 year warranty & is in the Mabry/Coleman/Plant school district.